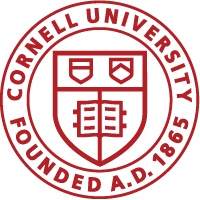 Cornell Engineering The CATALYST Academy is a one-week summer residential program for rising high school sophomores, juniors, and seniors. The mission of the CATALYST Academy is to advance diversity in engineering and its related disciplines. Therefore, applications from students from backgrounds (African American, Latino/a, or Native American) critically underrepresented in the fields of science, technology, engineering, and math are especially encouraged. This summer spend a week making new friends, experience life on a university campus, and explore the many exciting possibilities awaiting you in engineering! During the CATALYST Academy, Cornell University's world-renowned faculty and graduate students lead participants in classes, lab sessions, and project research. Social events, panel discussions, and other out-of-classroom activities provide participants with opportunities to network informally with Cornell faculty, staff, and students.